If the identification information (for authentication purposes) could be shared between systems, it wouldn't be necessary to do it for each anymore, and Users would be released from the trouble of managing multiple passwords. 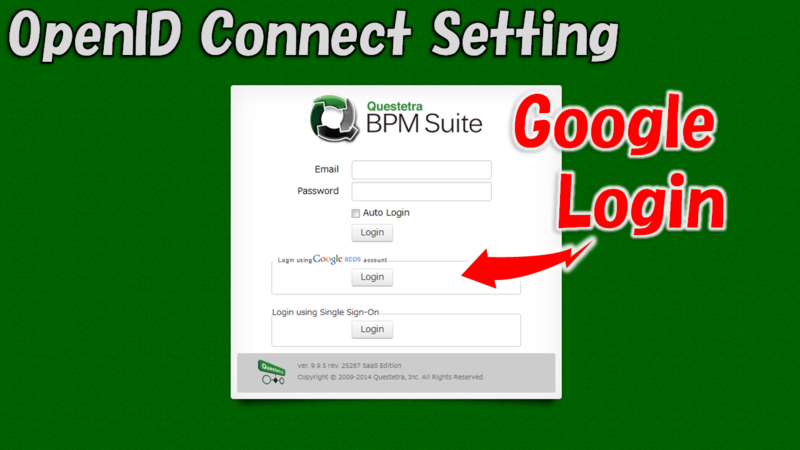 Questetra is capable of allowing Users who have been authenticated in "G Suite", the Cloud based office suite, to log into Questetra without password. Systems which manage user identities and perform identification (authentication) are collectively referred to as "Id Provider (IdP)"
Systems which provide any service to authenticated users are collectively referred to as "Service Provider (SP)"
Enable API access that is used for data exchanging of "OpenID Connect"
OpenID Connect is also referred to as "OAuth 2.0 for Login" or "OAuth and OpenID Connect"